Talk2Rep has earned PCI compliance. The designation and certification is awarded based upon network testing and validation by independent network security audits. Now that we have become PCI compliant, our clients can feel confident that their customer data is secure. 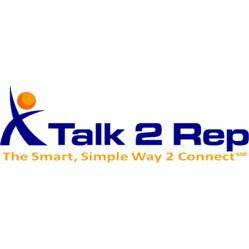 Talk2Rep Earns PCI Compliance for its call centers, domestic, international and @home agents. "As we are a leading provider of outsourced call center and live chat service and sales, it has become increasingly important for us to protect the safety of our clients' and their customers' information," said Talk2Rep CEO Jim Ryan. Talk2Rep maintains a robust network of call center operations both in the US and in the Dominican Republic. In addition, Talk2Rep has agents working from their homes throughout the US. "We provide customer support, sales, ordering assistance and shipment tracking; nationally to a vast range of healthcare, financial and web-based businesses," said Ryan. "As we are a leading provider of live chat and live voice website customer service, it has become increasingly important for us to protect the safety of our clients' and their customers' information." Regulated by the Payment Card Industry (PCI) Security Standards Council, the PCI Data Security Standard is a set of comprehensive requirements for payment account data security, including security management, network architecture, procedures and policies, and other protective measures. Many card issuers, banks, and credit card processing companies require compliance as a condition for accepting credit cards. By attaining this certification, Talk2Rep has joined an elite group of outsource call center and live chat service providers dedicated to the implementation of industry-leading data security technology. Ryan added, "Now that we have become PCI compliant, our clients can feel confident that their customer data is secure." For additional information on Talk2Rep visit http://www.Talk2Rep.com.